At Greater Manchester Poverty Action we are committed to strengthening the voices of people in poverty. 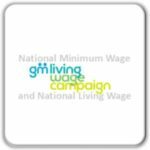 People who have lived experience of poverty are sometimes referred to as experts by experience, rightly recognising the potential that they have to bring about real change for themselves, for their communities, and for wider society. Sharing people’s stories is important for raising their voices and helping them to be heard, and for developing everyone’s understanding of poverty. The reasons why poverty exists in Greater Manchester, and in the UK as a whole, are well understood; high living costs, a housing market that is incapable of meeting everyone’s needs, a broken social security system that fails to provide a sufficient safety net, and an economy that relies too heavily on insecure and low paying work in order to function are all among the structural factors that result in people experiencing poverty and hardship. However, the reasons why one person experiences poverty and one person doesn’t, and why some people are at greater risk of poverty are complex and multifaceted. Policy and practice needs to be designed in a way that responds to these complexities and challenges. To do so the voices of people with lived experience of poverty must be heard, and furthermore they must be involved in re-designing policy and practice. 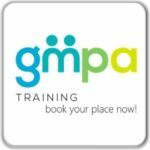 We are therefore pleased to announce the launch of GMPA’s Beyond Poverty report, which will be serialised in this newsletter over the next few months. The report will share the stories of people from across Greater Manchester who are either currently experiencing poverty or who have experienced poverty in recent years, describing the experience, the causes and the effects of poverty. We don’t offer detailed commentary alongside the case studies, we want the voices of these experts by experience to speak for themselves. When all the articles have been published we will print them as a single report – please let us know in advance if you would like a copy. We start in this edition with David’s story that describes being out of work due to illness and disability, and shows the importance of a supportive and effective welfare system for those unable to work. We want to take the opportunity to thank everyone whose story you will read in the coming months, who have showed great courage and understanding in coming forward and telling their stories, as well as Peter Cruickshank for having conducted the interviews with such sensitivity and dedication. Going beyond the Beyond Poverty report, sharing stories is important, but it is only the beginning. Poverty can only be addressed when those who experience it first-hand are involved in the process of identifying problems and working on solutions. We are therefore also inviting experts by experience to co-chair each sub-group of the Food Poverty Alliance. 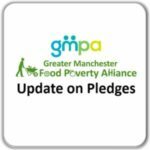 In so doing, we aim to co-produce a Food Poverty Action Plan for Greater Manchester with a deep understanding of the causes, effects and experience of food poverty.